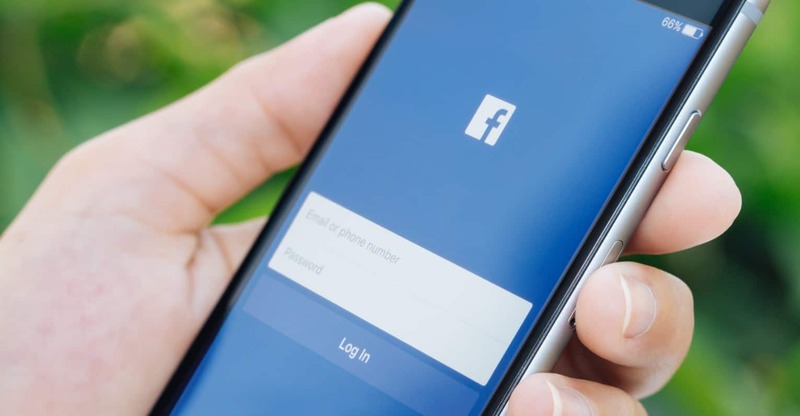 You could say that many consider Facebook to be huge and not just because of its millions and millions of users, but because of the endless amounts of options that the social network offers its users. Sure, there are still features we wish Facebook had, but hopefully, Zuckerburg will add those soon. Are you sure you know everything there is to know about Facebook? Some things can be easy, but if you want to know the little-known features of Facebook, keep reading. You have probably sent so many friend requests that you can’t even make an estimated guess. But, if what you want to know is how many people didn’t accept your friend request all you have to do is the following. First, click on the friend request icon and at the bottom of the list, you should see the option to see all. You should now be able to see a list of the friend requests you sent but have gone unanswered. If they wanted to accept your request, they probably would have done so already. Did you know that Facebook has a mail folder in your account? That folder is used for Spam and ever time we get a message from someone that is not on our contact list (depending on various factors) it could be a message we never received. To gain access to these click on the messages icon on the upper right-hand corner (same row as the friend requests) and click on see all. Once you are there click on Message Request and you should now see the messages you thought were gone, or you never received. Don’t you just have it when you see something you like on Facebook, but you just don’t have time to see it right now? Sure, you could try and find it later, but good luck with that. The best thing you can do is save it for later, but how? It’s very simple, all you have to do is click on the arrow pointing down. Once you have saved your video, it will be waiting for you when you have time to see it. When that time comes, and you want to see what you have saved, all you have to do is click on the pink Saved icon. One thing to keep in mind is that even though we save something, if the person that uploaded it decides to take it down, we won’t be able to see it. Facebook is full of very entertaining things and people. If there is a user you’re a huge fan of and never want to miss anything they publish, you can set things up so Facebook lets you know. This way, you don’t have to check the person’s profile ever hour. 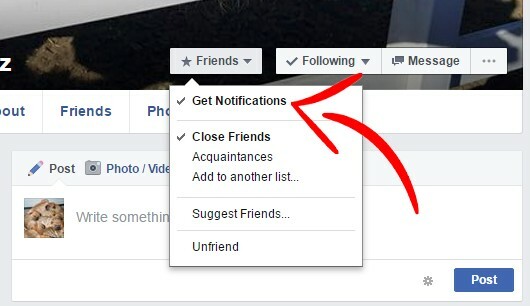 Go to that person’s profile and under Friends select the first option that would be Get Notifications. That’s it! from now on Facebook will let you know every time that person publishes something. Sometimes you don’t feel like sharing everything with everyone. For those times when you only want certain people to see or not to see what you publish, you can always do the following. Isn’t it annoying when your friend fill our timeline with junk? The problem with unwanted content is that after the whole world starts to comment and we find ourself with a device that won’ t stop alerting us. That can easily be changed by going to Settings >> Timeline and Tagging and where it says who can post onto my Timeline select Only Me and say goodbye to those annoying notifications. We all enjoy a funny puppy video now and then, but may not always to see every video we come across on Facebook. If this is something that you want to avoid you can quickly deactivate it by following these simple steps. Go to Settings >> Videos and the options you are interested in is the second one. Uf you have never touched this feature, then you are most likely going to find that it’s set to Default. Click on that and then select off. You’re done! Have you ever seen those moving profile images some sports leagues use for their players? Their not very long, but man do they look good. Facebook has a similar feature and if easy to set up. To choose a video as your profile image, all you have to do is click on the video icon on your image and choose Record new Video Profile or Upload a video or photo. If you followed these steps but you didn’t see that video icon, it’s because Facebook is gradually adding this feature and it might not have reached you just yet. It feels nice when someone takes us into consideration and invites us to participate in something, but in Facebook, that could take a turn for the worse. If we don’t have our settings up the way we want them, we could be receiving so many invitations that we may not even have time to see them all. If you want to go cold turkey and block all invitations, go to Settings >> Blocks and scroll down just a tad, and you will see Block app invites, and Block event invites. Make the necessary changes and you will be invitation free. Do you want to know who has accessed your Facebook account without your permission? If you usually log in from the same few locations, you will automatically spot what just doesn’t fit in. To see this information go to Settings >> Security >> Where You Logged In. Once there, you will see a list of all your logins. Facebook can be a fun place, but only if we know how to modify it to our liking. 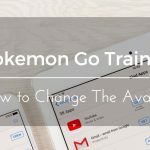 Hopefully, with the following tips, you were able to make some necessary changes to your account. Did I miss anything on my list? Let me know what secrets you know on how to modify Facebook in the comments.